Devi (Chennai, India) on 3 December 2016 in Plant & Nature and Portfolio. How pleasant this looks - there is happiness here for sure ! Beautiful capture of the flowers in the green . Lovely fresh shot of these purple white flowers. I love this flower too! It is always so fresh and popping up in unexpected places! @: Helen :: You are right...we have lots of them on roadsides and on trees ! @Frances: May be you could, near the wall!!! These are pretty ones with the purple centers. A beautiful flower, what is it you know? Is it maybe called Clematis (Elämän lanka), which blooms in the strangest places! :-)))) Haleja. Have a good weekend a good my friend. Superbe tapis de fleurs et quelle finesse et couleur. Beautiful image of these lovely flowers. The background of Fresh green leaves look nice. @Sam: Thank you Sam :))) My neighbour's pride ! The purple is a great color. Nice image. 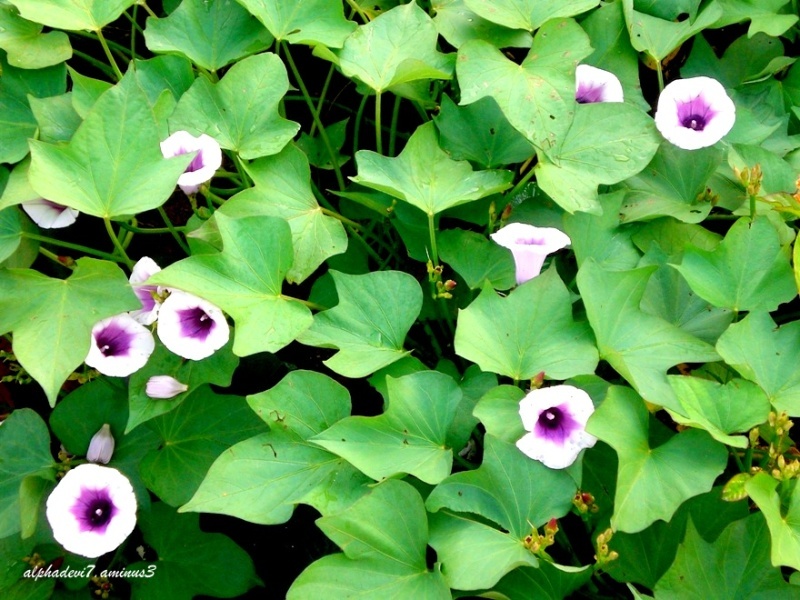 I have loved morning glories since I was a kid. A very common lovely creeper! Nicely shot!